Author: Winter, Jeanette Set In . . .
A child is born amid African colors and rhythms. Nakunte's mama teaches her how to make bògòlan, a cloth painted with mud, using the traditional techniques practiced for centuries by women of Mali. She carefully selects her materials -- the cloth, the mud, the sticks and leaves -- and looks to the natural world for inspiration for the patterns she will cover the cloth with. After much practice, Nakunte is ready to make an important bògòlan for herself, and for her baby. 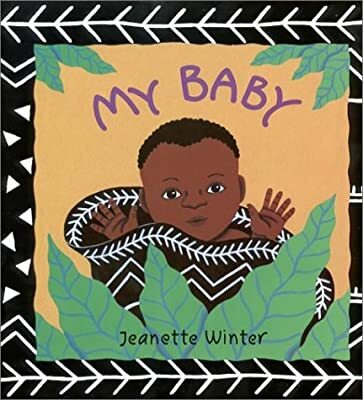 With a gentle, soothing text and vibrant pictures, Jeanette Winter tells a story of one girl who grows to be a woman, and an artist, as she lovingly prepares for her baby's arrival.